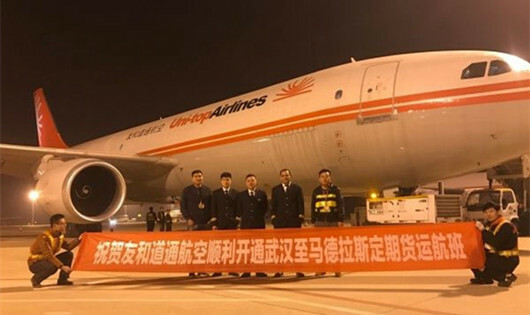 Wuhan Uni-Top Airlines added a cargo flight linking Wuhan, capital city of cental China’s Hubei Province with Madras, India, on December 5, 2016. The flight, operated by the Airbus A300-600, makes two shifts every Monday and Thursday. The aircraft mainly transports high value-added electronic products like mobile phones. It is the third cargo air line between Wuhan and India, after the flights of Wuhan-Mumbai and Wuhan-Delhi.